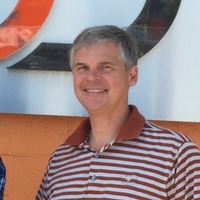 Jeff Hutsell sold his company, Levels of Discovery, in 2013. Four years later, in 2017, we interviewed Jeff to find out what he recalls about the process and what advice he has for others. We’re reposting the interview because we believe stories stand the test of time and are one of the best ways to learn. 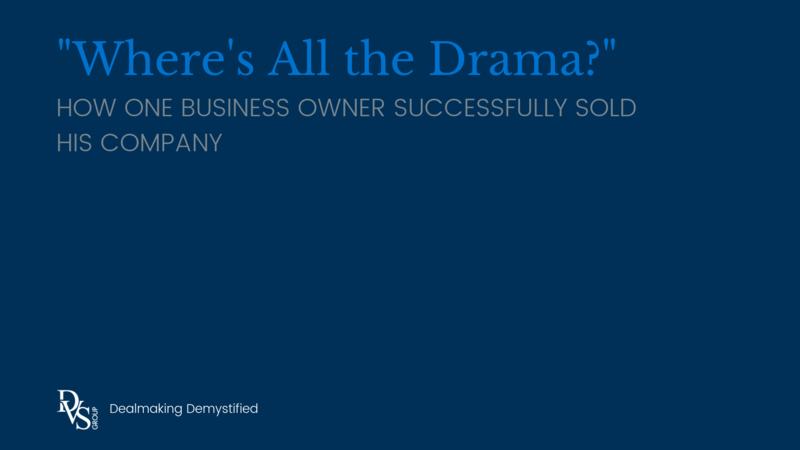 Yogi Berra would probably tell you that you can’t sell your business if nobody will buy it. 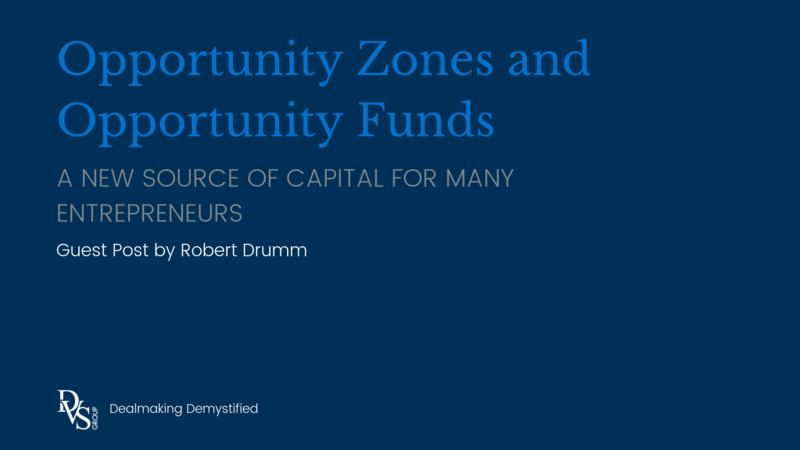 Thanks to Robert Drumm for writing this article for us. Robert is an attorney and entrepreneur with 16 years experience in special-purpose real estate finance and development, business transactions, workouts, and day-to-day business operations. He returned to full-time legal and consulting practice after successfully rejuvenating a specialty packaging business serving the craft beverage industry. Due diligence is a term most of us have heard somewhere at some point. But what does it actually mean and how does it play out in specific contexts? 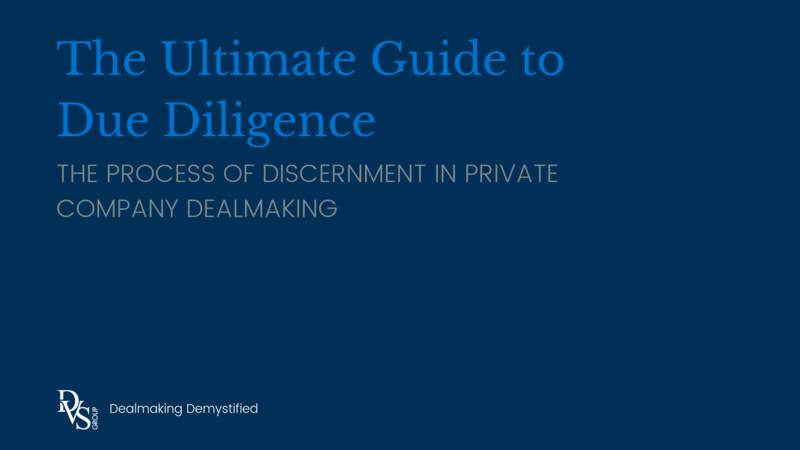 At The DVS Group due diligence is an essential part of our dealmaking. Valuation is calculated. Price is negotiated. 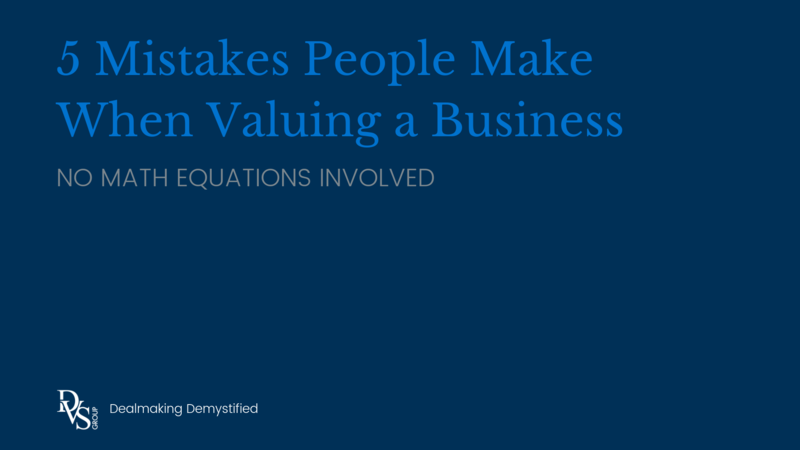 That’s one of the most important things to remember about the process of business valuation. 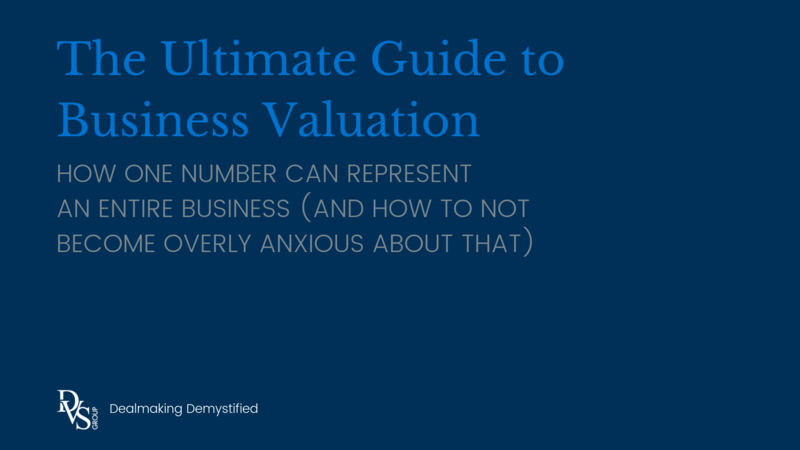 Business valuation is a topic that goes deep and wide. There are a lot of questions and a lot to learn. We did the digging for you and created the second in our series of “Ultimate Guides”. After engaging with the information below, we hope you come out on the other side with a good understanding of why valuation is calculated and price is negotiated. We talk about EBITDA often in our office. The financial measure is important when valuing a business. 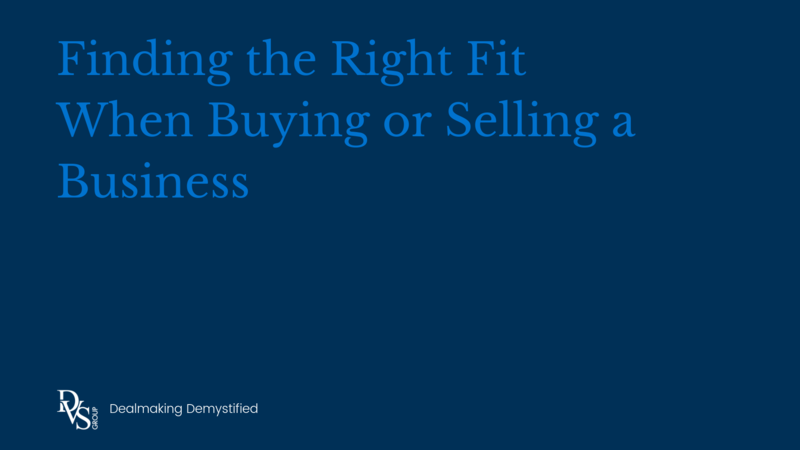 Business owners, buyers of businesses and even financial advisors can be at a loss for what EBITDA truly means because it is mainly used in the sale of a business- an event they’ll likely experience once. There is a heap of questions out there regarding EBITDA. And there is an equal amount of answers. 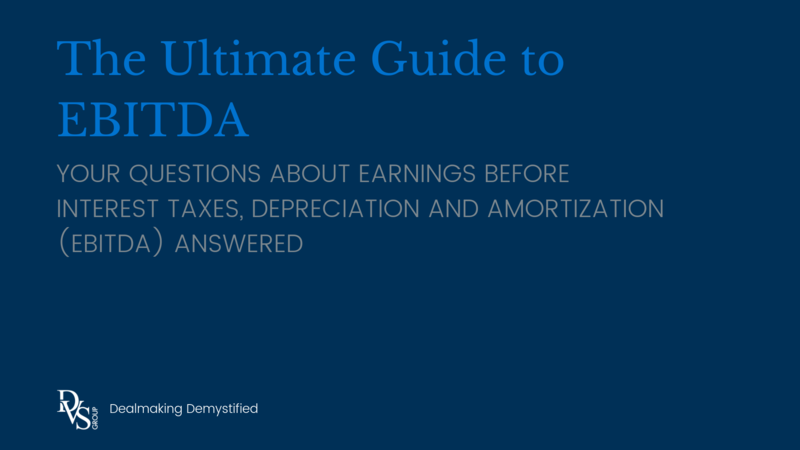 We weeded through the resources out there and found the best answers to your EBITDA questions. If you’ve ever considered purchasing a business, the thought right after, “I can be my own boss!” is likely “Can I even afford it?” Business ownership is rewarding in many ways- beyond finances. But it also brings lifestyle changes that impact those around you. It’s an investment you want to be confident in. We won’t talk in absolutes about whether or not you can afford to buy a business. 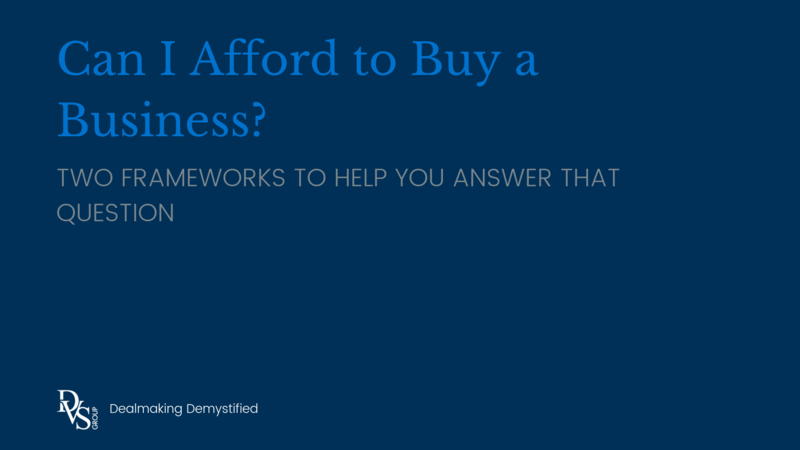 But, after a decade of seeing executives buy businesses, we’ve developed two frameworks that work in tandem for helping you answer that question. 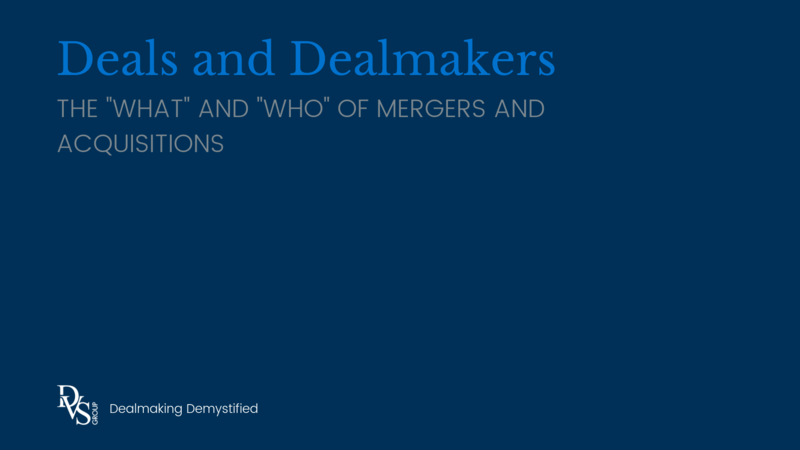 As merger & acquisition professionals, we know that much of our job is education. The work we do day-in and day-out is a little bit complicated, a little bit obscure, and a whole lot different than a business owner’s day-in and day-out work. We value and enjoy our role as educators but sometimes we get frustrated when our clients get tunnel vision and choose to focus on any problem but the one that matters. We find ourselves having the wrong conversation over and over. 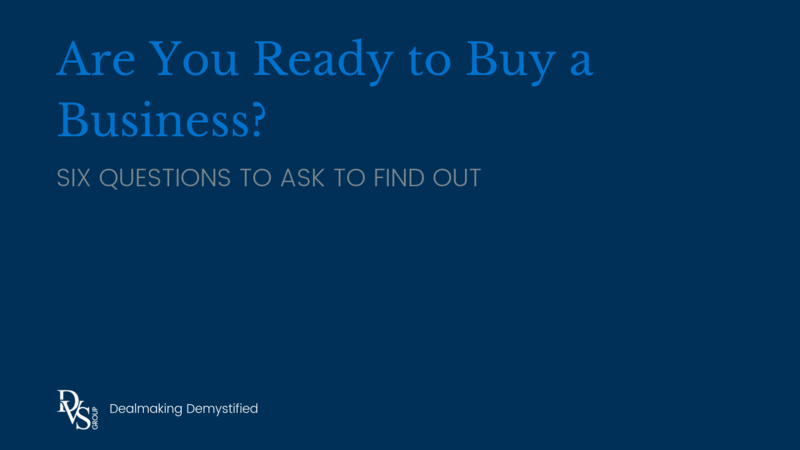 Are you ready to buy a business? Below are six questions to help you find out. 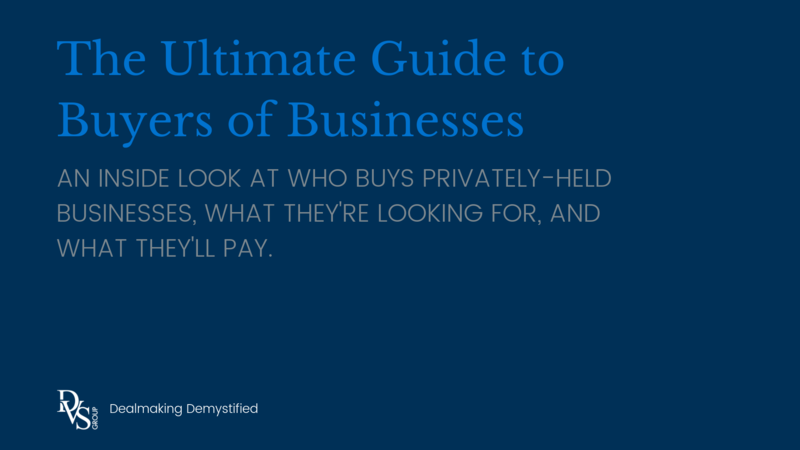 These questions are tailored specifically for the individual executive seeking to acquire a business (a different set of questions should be asked by corporate buyers). If that’s you, take some time to consider these questions. Thanks to Kirk Kaiser for contributing this post to The DVS Group blog. He is an owner of Barrier Technologies. He founded the company in 2008 with Jaye Sieland. Barrier Technologies is a national containment contractor that specializes in preventing the spread of fire, smoke, sound, water, and infection in buildings. 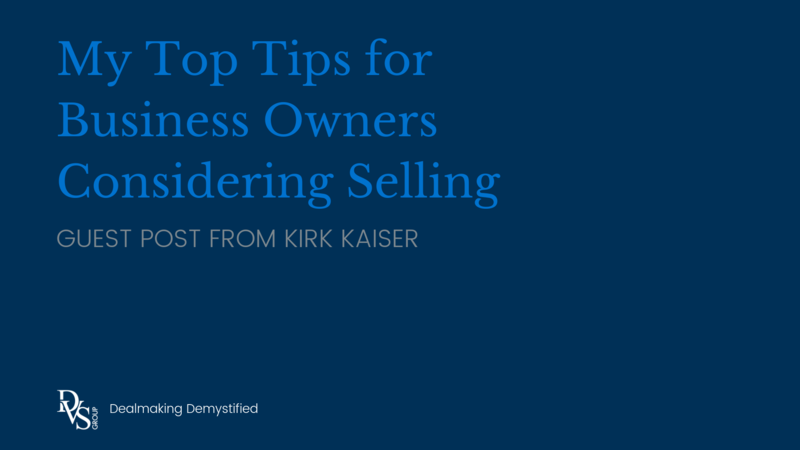 Here are his top tips for business owners considering selling. 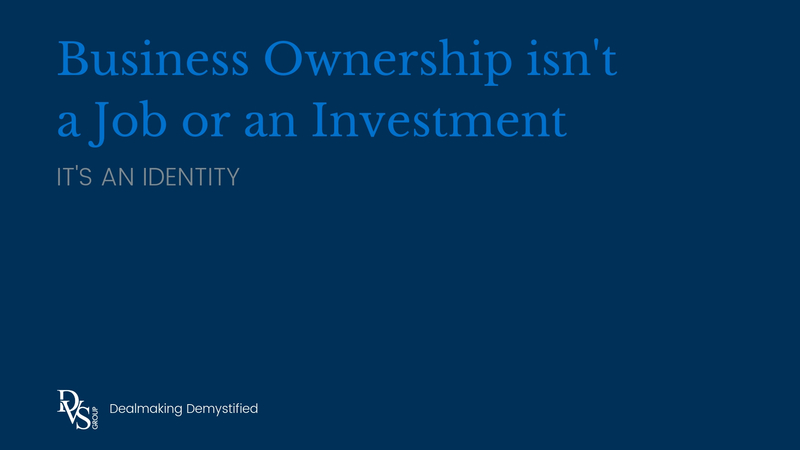 Is business ownership a valuable experience? Read the story of Robert Drumm, a DVS Group client, to find out. Lawyer, brewer of beer, writer, dad, husband – all words used to describe Robert. Your definition of success matters when getting a deal done. For most of our clients, success isn’t the most money but the most right money. It’s about fit. 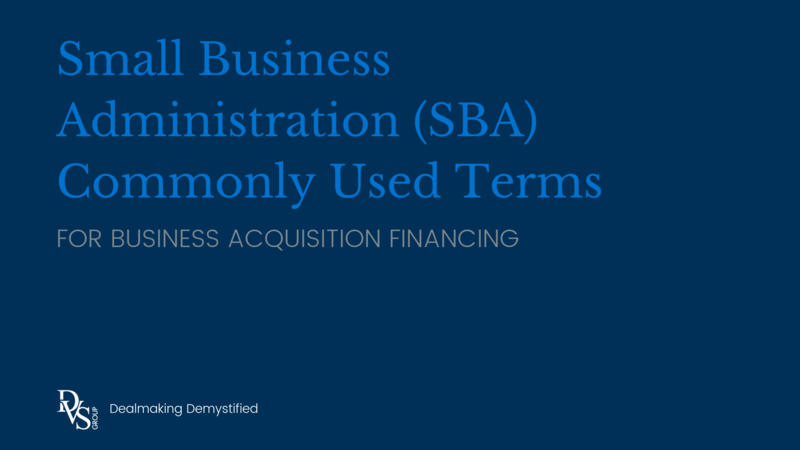 Use the following definitions to get accustomed to the lingo of the Small Business Administration (SBA).